This little critter was looking for food — but ended up stuck in the craziest place. 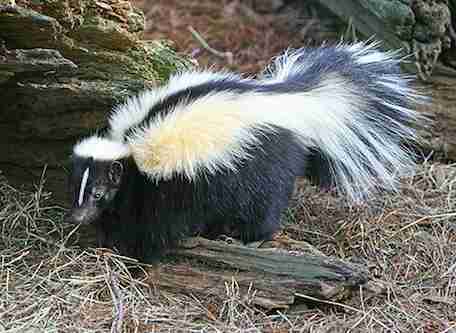 This week in Billerica, Massachusetts, a skunk was out looking for a snack when he sniffed out a beer can. Curious about the smell, he stuck his nose inside — and got hos entire head stuck in the process. 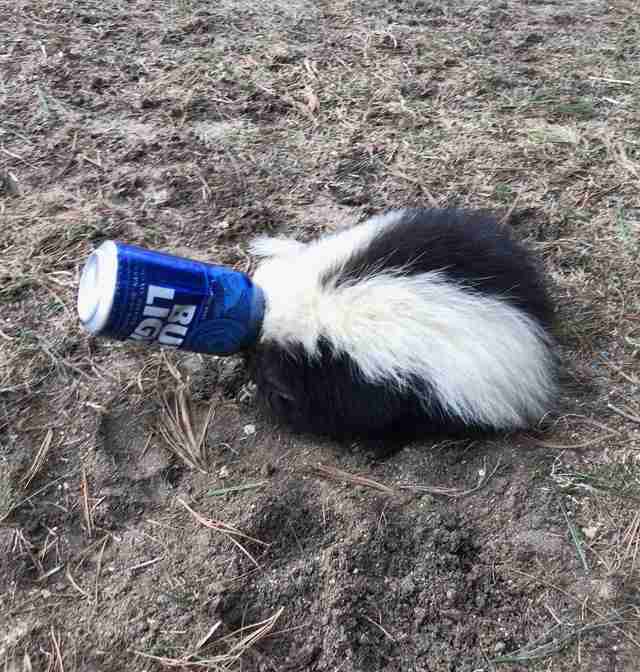 No one knows how long the little skunk wandered around with the metal can stuck over her head, but luckily, people found him in time before he got too weak from not being able to eat. While the skunk is likely feeling a bit hungover from the ordeal, the staff at Tufts Wildlife Center in North Grafton are taking very good care of him. This skunk was lucky to be saved, but so many other animals who get trapped in garbage unfortunately don’t get help in time. Litter can often be deadly for wildlife who put their heads inside discarded jars or cans while looking for food. Luckily, there’s a very simple solution. When recycling, put the lid on all containers, wash jars out so there are no food smells left and crush flexible containers so no animal can get their head stuck inside. The Tufts staff had to sedate the skunk to remove the can, and will be keeping an eye on him for the next couple of days to ensure he's strong enough to return to the wild. This time, he’ll hopefully steer clear of the Bud Light.